• Catchafire: Connecting nonprofits & professionals (Socialbrite) Lindsay Oberst is a freelance writer who writes about art, culture and topics that relate to social and environmental good. Follow her on Twitter at @LindsayOSocial for social good discussions or at @LindsayOWrite to chat about writing. Thank you for the Care2 mention and the great article about B Corps. At Care2, we strongly believe that business can be a powerful force for good in the world. 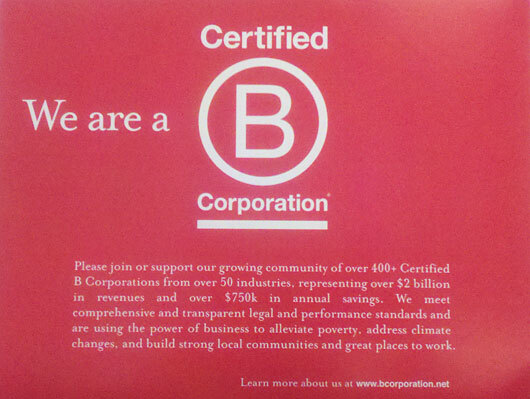 That’s why we’re a B Corp and why we proudly support other B Corps. Just as strongly, we believe that nonprofits have a place in the ecosystem. We give a percentage of our revenues to nonprofits every year, and we work closely with our 700+ nonprofit partners on a daily basis to generate new donors for them. In order to create real change in the world, we all need to work together. Thanks, Sue Ann, good to know. Care2 has a great track record in the nonprofit community!